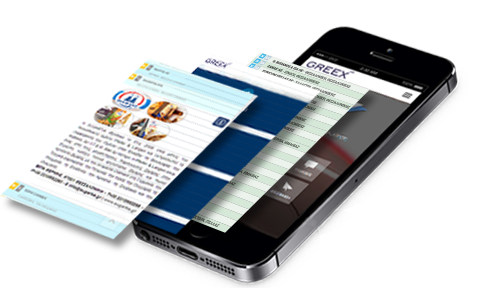 Greex.gr specializes in recording food & beverage companies all over Greece with the presence on the web and with full contact information and a complete description. The Index covers all the appropriate geographic regions of Greece, easy highlighting the origins of the productive activities, the diversity and the wide range of the greek products. Very easy and with a unique user interface you can access all business data at once, minimizing the selections and following the guidelines on every screen dimension. The list is always up-to-date with special additions and references as well as direct mail system information for the users and the business within the index. From mobile and pad to laptop and desktops, there are no restrictions for the easy use of the site adapting all screen dimensions. Friendly UX/Ui enables the user to guide his selections, choose, read and find the business or the products in the catalog, simply and fast. Building our famous product origins around the motive "Exporting Greece" adds a great value to our homeland productive business. We organize, analyze and guide our clients through the diversity of the foreign markets.